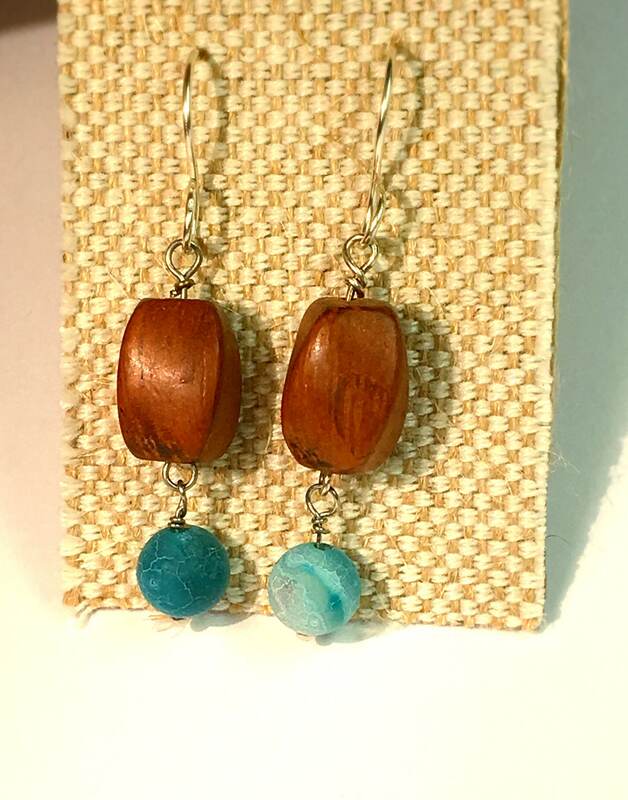 Swirls of banded blue and white Agate are memorizing as they dangle from the beautiful Rosewood pillars. 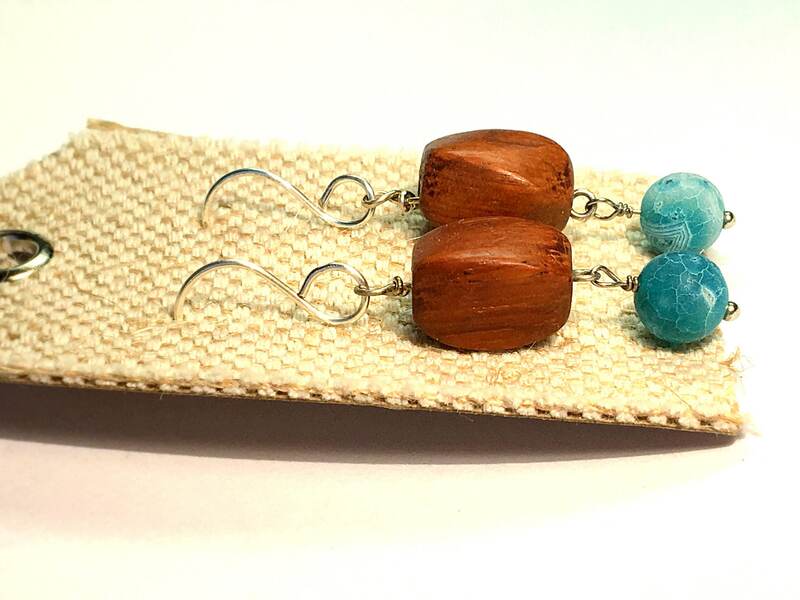 Strung with hypoallergenic silver wire accompanied with matching silver hypoallergenic handmade hooks, these earrings weigh less then a few ounces and are as grounding, calming and soothing as watching the rhythm of the oceans waves. 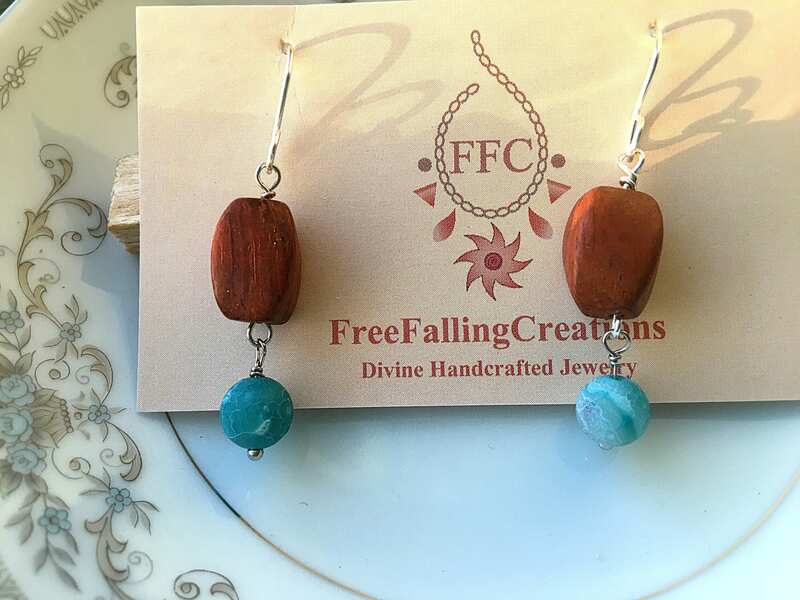 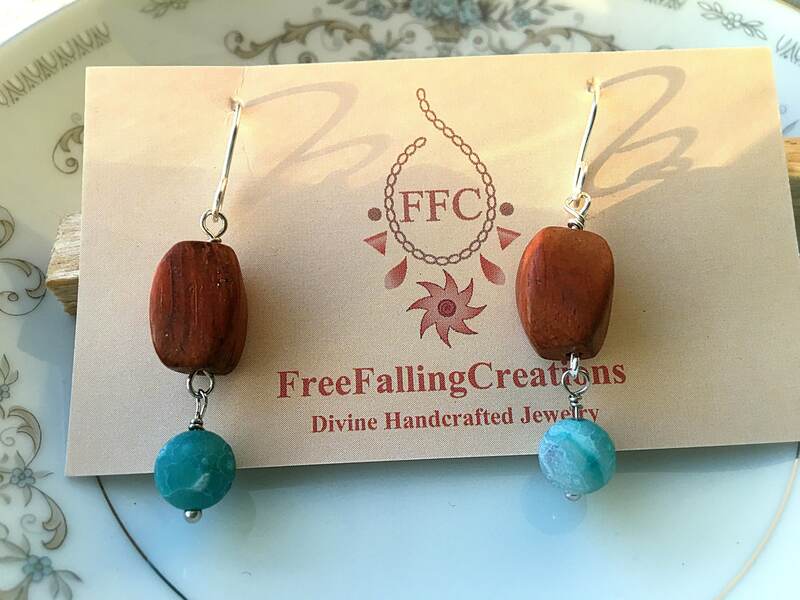 Made with the intention of being a sturdy and steadfast grounding pair of earrings. 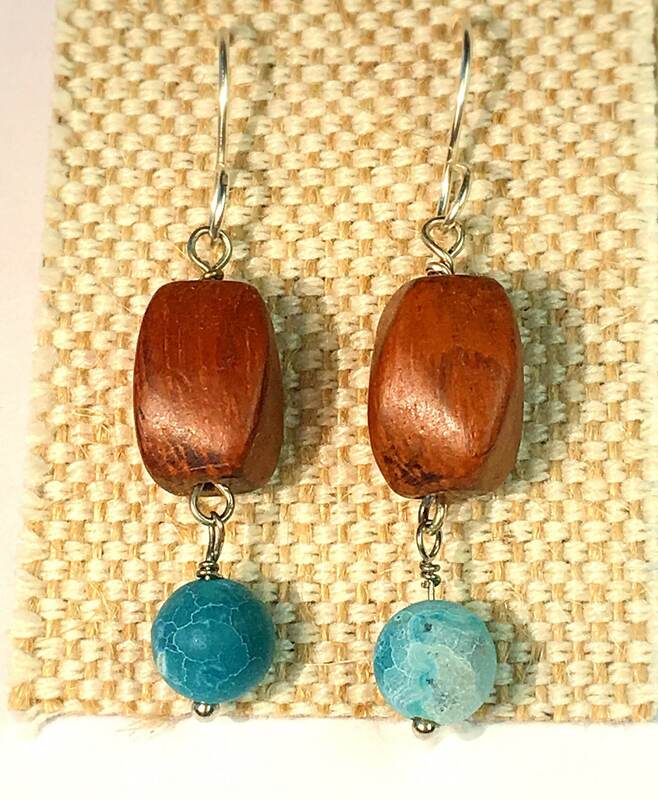 Intended to bring an emotional, physical, and intellectual balance to you.